I was recently thinking about Elizabeth Weise’s book A Parent’s Guide to Mandarin Immersion. (I highly recommend this book by the way and it’s currently a bargain on Kindle at $2.99). One part of the book that has really stuck out to me is an analogy she uses about visiting a home and noticing that there are no books on the shelves. None. In fact, no books in the whole house. Would we be surprised if the child struggled a bit with reading? This scenario in fact describes (for most of us) our homes – in terms of Chinese books and media. So the question is, what will do as parents to provide opportunities for our children to learn Chinese? The Chinese Breeze book series is a good choice for students (the easiest level can probably be read by 5th graders). The link only goes to four of the books, but there are more in the series. We’ve also written before (here and here) about resources for parents in terms of a variety of shows and activities that kids can participate in. Recently my family has enjoyed watching the Chinese Drama series “A Love So Beautiful.” It’s a fun, squeaky clean show that follows the story of five high school students in China. English subtitles are available (and for most students will be necessary for full comprehension). But it’s a fun way to practice Chinese listening skills and some cultural insights will come as well. Consider having a Chinese movie night where you watch an episode or two together. Hopefully your children will like it enough to keep going! Another great series is “Love 020.” This series is a little more intense than “A Love So Beautiful” as it takes place on a college campus and includes scenes that take place in a fantasy world, but it’s still very clean and my kids have loved it so far. Searching YouTube, Amazon, and other venues will yield further movies and books that could entice your children to spend a little more time immersed in Chinese. We welcome any comments as to specific media you have used to help your children practice their Chinese in the home! This entry was posted in Resources on April 2, 2018 by John Hilton III. (Photo courtesy of the Provo Herald, which featured Su Mama’s storytelling club and camp). PandaTree.com was started to give kids one-on-one practice speaking a foreign language. PandaTree’s online tutoring sessions focus on engaging conversation with a dynamic tutor to make learning fun for your child. And each session is tailored to your child’s interests and language level. PandaTree offers carefully-selected, native-fluency tutors. As part of the rigorous hiring process, tutors do several test sessions with kids which are reviewed by teachers. Weekly PandaTree sessions are a fun and convenient way to keep up your child’s Mandarin while school is out. Online video sessions happen in the convenience of your home – no driving needed. Read tutor profiles and schedule weekly summer sessions now at www.PandaTree.com. Like us at https://www.facebook.com/PandaTreeTutoring. In a world of rapid change, the future will be shaped by those who are prepared to interact in a global society. The ability to speak another language, especially Chinese, will be a great asset to your child. 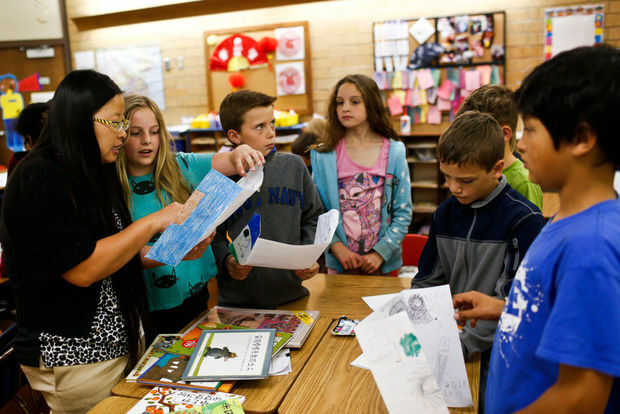 Provo, UT-based YanYan believes that your student’s Chinese immersion experience will foster the drive, perspective, and proficiency to make a positive impact in all they do. At YanYan, we are passionate about enabling you and your student with the learning tools to succeed, not only in mastering the language, but in preparing for their future as lifelong learners. Visit our website at yanyanlanguage.com. This entry was posted in Cultural events, Resources and tagged summer camps chinese mandarin utah on May 28, 2015 by diparents. John Hilton, one UMIPC’s parent leaders, compiled this newsletter with valuable tips for constructive ways to spend the dog days of summer. We’ve shared information about various summer camps on this blog. Here are more options, courtesy of Hilton, for families in Utah County: Check out learning opportunities from Nathan Abbott (http://mylotusacademy.com), Brittney Phelps (www.summerimmersion.com) and Amanda Conklin (https://www.facebook.com/SuMaMaChineseClub). I’m posting the rest of his newsletter below. You can sign up to receive copies of our newsletter here. Aside from summer camps, there are many resources you can use in the summer time to keep your child’s skills fresh. You could have your child practice on Quizlet sites his/her teacher has sent home throughout the year (or they could try these HSK Quizlets). There are some great books available on Amazon that would work for children who have completed third grade – like the story about two children who seek a bridge to another world. Some of the books in the series are available inexpensively on Ebay (or used on Amazon). You might also consider hiring older immersion students (4-6 graders) to come read to younger readers or do Chinese games with them. It is possible that for a very low cost you could stimulate some good Chinese activity. Last summer parents at one school hosted a weekly Chinese movie activity in which children could come to the school and watch a feature film in Chinese (many of the Chinese teachers will have access to these types of films). Something like that could be a great benefit to many. Good luck this summer! We know the teachers will be working hard to prepare for the fall. Also, if you missed it previously, here is the latest information regarding Utah State’s secondary immersion plans. Parents of 5th and 6th graders may want to be in touch with their respective districts to learn more about the secondary plans in their area. We are very lucky to have such a great immersion program in Utah! This entry was posted in Resources and tagged Chinese, learning, Mandarin, opportunities, summer, Utah on May 16, 2015 by diparents. Stumbled across this blog post by an adult Chinese learner, who, instead of heading off to Chinese summer camp, decided to hire a tutor to work with him and his family for a week. A growing body of evidence points to the importance of “authentic language learning,” or giving students real-life, developmentally appropriate opportunities to express themselves in their second language. For instance, a lesson on cooking steamed buns exposes them to everyday words, such as “measuring cup, flour, water, mix and temperature.” It gives them a chance to put their Mandarin to practical use. And learning about Chinese culture enriches their language instruction by exposing them to: regional and class-based accents; new vocabulary; conventions of different literary forms, such as rap and poetry; appropriateness of expression in different contexts (conventions of politeness, street language versus school language). This entry was posted in Resources and tagged authentic language learning, Mandarin, tutoring on May 16, 2015 by diparents.